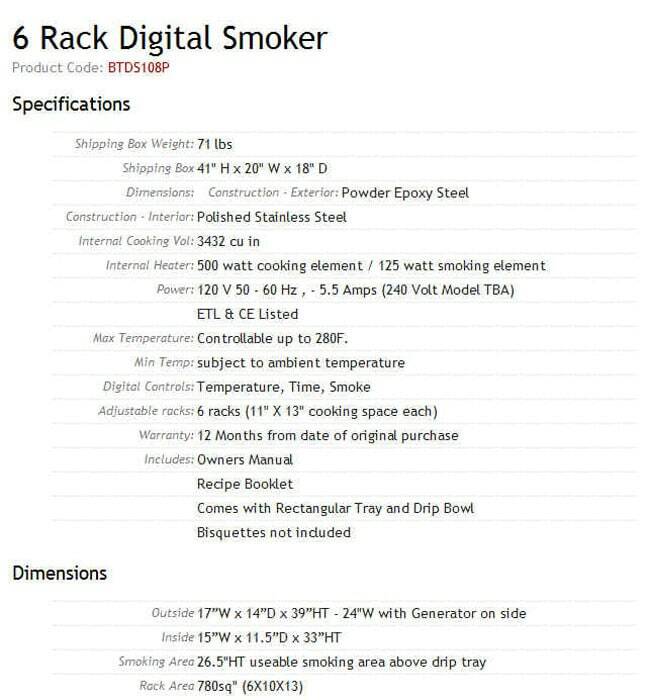 Total Rack Area 780 Sq"
Rack Size 11 X 13"
Can I smoke a whole turkey in this smoker, and if so what is the largest that will fit? Hi, Gene. You can fit up to a 15 lb turkey in this smoker. WARNING: Using this product can expose you to chemicals including soot, which is known to the State of California to cause cancer, and carbon monoxide, which is known to the State of California to cause birth defects or other reproductive harm. For more information go to www.p65Warnings.ca.gov.